Traphouse Tyler is no stranger to the love, pain, hustle and prosperity found on the roads of the British capitol. Born and raised in West London, Tyler began rapping and making beats in his teens, focusing his attention on grime and hip-hop. His smokey, baritone voice and versatile, melodic cadence lend themselves perfectly to his stories of life, love and adversity on the streets of London. His production style features elements reminiscent of a young Skream, Shawty Redd and Teddy Riley. His passion for artistic expression lead to his career as a tattoo artist. His artwork caught the attention of media outlets such as the BBC, Vice, Complex and musicians such as ASAP Rocky and Skepta. While amassing a large fan following through posting his work on social media, he continued crafting his unique and powerful sound. His latest, self-titled, release is a sultry portrayal of his life as he navigates the highs and lows of love, lust, hustle and success. From the first note, the project is a definitive portrayal of life as a young man in London in pursuit of something greater. The primarily self produced project is a look into the vulnerabilities, problems and dreams behind Traphouse Tyler’s larger than life image. 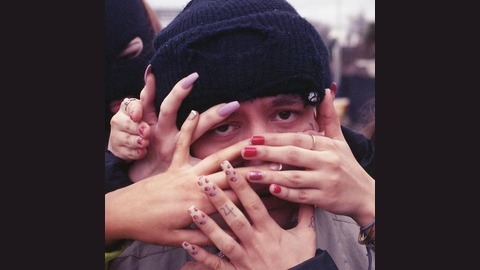 The aptly titled “JGrrey” which features the South London singer of the same name, is a dreamy and ghostly vision of an endless pursuit of money and the women and status that come with it. The rapid fire, techno inspired synths and piercing drums of “Sweardown” provide an energetic structure for his fast yet fluid bars about loyalty and his transformation from a youth in council housing to one of todays most influential young artists. Tyler’s grind is more relentless than ever. He is committed to innovating the landscape of contemporary urban music in the UK. With a focus on his versatile and captivating voice, his next releases are a testament to his never ending creativity and vast range of influences. To stream or download his latest project visit www.traphousetyler.com For all information and booking inquiries contact andrew@anothermedia.agency.